Charlotte Lewis is the love expert of the moment. Read her tips on how finding love without going to university. I always knew that university wasn’t going to be right for me. I didn’t feel it was going to give me the tools I needed to fulfil my potential in life. Although it took me a good few years after dropping out of the first year of Loughborough University to decide what I wanted to do, looking back I wouldn’t have changed the journey or experience as it has certainly made me who I am, and given me the tools for my current job. After a bit too much partying growing up, I turned to yoga when I was about 22 as I was longing for some inner peace and happiness. This started my journey with self-development and deciding that I wanted to help others live a happy, healthy and fulfilling life too. Over the past few years I have worked as a yoga teacher and life coach, teaching everyone from toddlers to corporate companies about how the benefits of yoga and overall wellness. From working as a life coach, I realised that the majority of people coming to me were looking for love, and so the idea for The Love Life Agency was born. The Love Life Agency provides a dating coaching subscription and 1-2-1 coaching for both men and women who are looking for love and are finding the journey challenging. All the videos will help you find and keep love, plus work on your own personal development so that you become more confident, secure, loving and balanced in all areas of your life. Upon joining the website, you can also join a community of likeminded people who are all committed to working on themselves so they can find and keep a relationship. 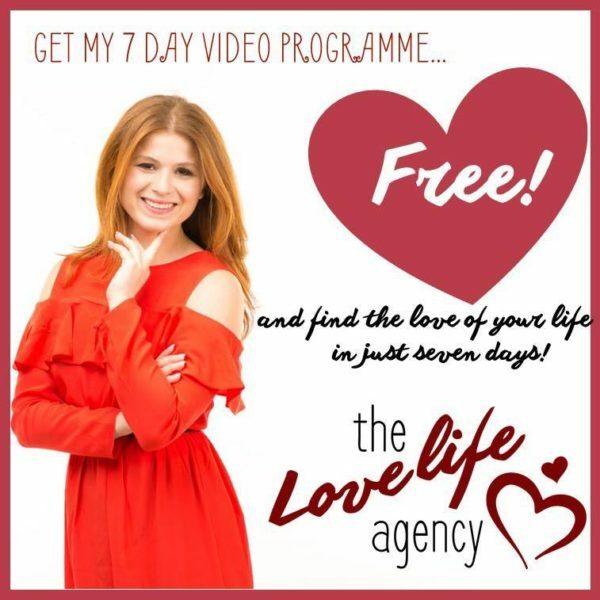 I offer a free seven day mini video challenge as an introduction to The Love Life Agency. Just go to www.thelovelifeagency.org to sign up! Although 20% of British students do still meet their future husband or wife at university, the majority don’t, so be assured that if you have decided that university isn’t for you, then you can and will meet a high value man or women. Here are some tips if you want to find love and don’t have a degree! Work on your inner confidence. There was a reason you didn’t go to university as you knew deep inside that it just wasn’t for you. Just as you were confident in that decision, be confident in who you are now. It takes guts to choose an option that can be frowned upon, but that drive is what is going to take you forward in life and set you apart from others. There are going to be people on dating app’s and sites who state that they are looking for someone with a degree, but don’t let that knock your self-esteem. I remember looking at some profiles thinking that they wouldn’t like me because I didn’t have a degree, and it made me feel quite insecure at times. There will always be people who judge and assume something negative about you because you didn’t go to university, but that’s their problem. There are loads of men and women who see not going to university (and starting a business or apprenticeship) as a positive trait, so focus your attention on those. List 10 qualities you would like in a partner, and then ask yourself if you need to go to university to develop those qualities? Traits such as kindness, respect, honesty, empathy, maturity, affection, a sense of humour and ambition are not necessarily learnt by completing a degree. Sometimes the school of life is the best way to grow as a person! A university degree isn’t going to make someone a better boyfriend or girlfriend. Now looking at the most important qualities that you want in a partner, (aiming to choose deeper characteristics than just brown hair and blue eyes) have a think about where your ideal partner might be? If you are looking for someone outdoorsy and athletic, but you spend all your time in bars and clubs and have had no luck finding love so far, you may want to rethink your social life. Just as networking is good in business, it is also useful for finding love. Around 30% of people still meet through mutual friends, and if it is true that you are the average of the five people around you, it would be a wise idea to start socialising and networking with the type of people you want a relationship with. You may not necessarily fancy them, but they may have a friend you find attractive in the future! If your social circle includes lots of people you wouldn’t want to date, maybe that is a clue as to why you haven’t found someone you want to date through a friendship as yet? Believe that love is out there. We have been conditioned to think that there is only so much to go around – good men or women, and money for example. The scarcity mindset revolves around the idea that there simply isn’t enough to go around. But if you keep thinking thoughts of lack of good men and women out there are greatly hindering your chances of finding love. On the other hand, an abundance mentality, means you have a deep sense of security, self-worth and faith that there are lots of good single men and women out there that are perfect for you. It is the idea that there are plenty of good men and women for everybody – no one misses out. Having this abundance mindset opens up possibilities and options around dating and relationships, and is also a great mindset to have if you are looking for a job or setting up a business for example. Although my fiancée has been to university, he certainly doesn’t judge me for not going. He actually says his own degree was a waste of time as he is an entrepreneur at heart too! Although there may be some people who judge you for not going to university, there are just as many who see listening to your heart and making your own decisions in life as a huge strength. Those are the ones who will be worthy of your heart.